Dead Space 2 is a survival horror third-person shooter video game developed by Visceral Games and published by Electronic Arts for PlayStation 3, Xbox 360 and Microsoft Windows. It is the sequel to Dead Space. Dead Space 2 has a multiplayer mode. 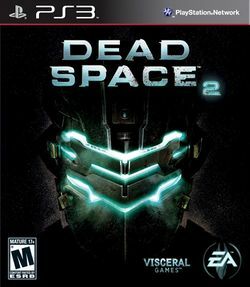 The PlayStation 3 version includes Dead Space: Extraction as a PlayStation Move-compatible title.